After the break up of his band The Birthday Party in 1982, Nick Cave formed Nick Cave & The Bad Seeds who released their debut album From Her To Eternity in 1984. Nick Cave & The Bad Seeds have since released fourteen studio albums; and the band's current output remains as vital and explorative as those early pioneering sessions recorded at Hansa Studios in Berlin. One of the most critically acclaimed acts working today, Nick Cave & The Bad Seeds’ influence has been profound and far-reaching: artists as diverse as Johnny Cash, Metallica and The Arctic Monkeys have all covered their work. 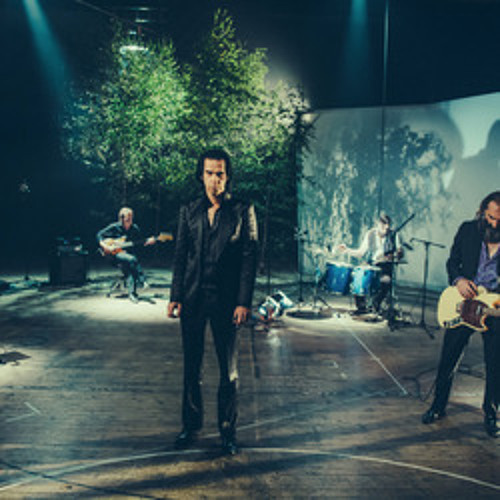 Nick Cave & The Bad Seeds -- Nick Cave, Warren Ellis, Martyn Casey, Jim Sclavunos, Thomas Wydler and Conway Savage -- have been working together for nearly two decades. Push The Sky Away, the band’s fifteenth studio album, was released in 2013.